A website is the best tool to connect with potential customers. It is a very powerful and useful promotional tool that can take your business to greater heights. Thanks to WordPress, today you can easily setup your online store in a hassle free manner. WordPress themes play a significant role in enhancing the outlook and navigation of the portal. The WP themes that come with proper developer support can be used for building great business websites. If you wish to give your e-store a professional look and secure navigation system then you can consider the below mentioned themes. A versatile and bendy theme which is exclusively designed for online shopping. This theme offers a broad range of features to personalise the outlook of the theme. Oxygen is a super responsive theme and runs smoothly on both PC and mobile devices. Based on the Bootstrap technology, this theme is less at its core for easier & faster web development process. It comes with compact and elegant side menu that perfectly matches with the overall design of the theme. It is a premium WordPress theme which is also based on the latest Bootstrap framework. A fully-responsive and mobile-friendly theme that comes loaded with fantastic features like AJAX Sorting, Content Builder, Custom colour themes, Parallax backgrounds, etc. With the integration of active plugins in this theme, you can easily enhance the functionality of this theme and make it work as per your requirement. One of the most stylish and modern WP theme which is ideal for stores dealing in apparels, gifts, accessories and electronics. This theme comes with a live theme editor which allows the users to tweak this theme as per their requirement. Additionally, its autoloading custom CSS files support helps the users in creating unlimited theme profiles without writing a single line of code. 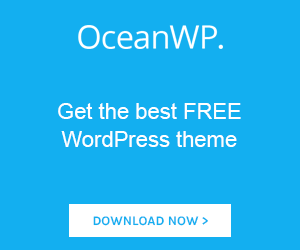 A clean, elegant, and multi-functional WP theme is perfect for building an attractive online store. Snapshop is probably the most complete and functional template available in the market. This theme features a grid style showcase which allows the e-store owners to present their products in a sophisticated manner. Moreover, custom CSS is supported all around the template. If you are a fan of simple yet elegant design and feature-packed theme, then you must choose Trizzy for your portal. This theme is suitable for building portfolio sites, online stores, blogs and business websites. Trizzy comes loaded with megamenu navigation system. It allows you to create a highly responsive menu navigation similar to the YouTube and Facebook. This theme is retina ready and is fully compatible with all screen sizes. As the name suggests, this theme is designed to meet the requirements of websites dealing in medicines and other pharmacy products. Moreover, this theme can also be used by electronic stores and mobile shops. Build on a WPO framework; Pharmacy has a responsive design which is compatible with all sorts of screen sizes. Pharmacy also comes loaded with four home page layout & two header layout options. This theme has a broad range of niche-oriented features, which once implemented in the right order can enhance your online store’s visibility. It comes with a clean and streamlined code which is quite easy to change. With the support of good plugins, even the amateurs can build a decent online store. Moreover, this theme also comes loaded with AJAX shopping cart function which will surely going to enhance your sales conversion rates. A lively and colourful theme that is suitable for any online business, portfolio, blog and eCommerce portal. Venedor is a responsive and retina ready theme based on the Bootstrap technology and is powered by Redux options framework. This beautiful shop theme is quite easy to install and modify. With this, them you will get custom pages and that will help you create your website without any coding skills required. A modern, robust, reliable and efficient WP eCommerce theme designed for portal deals in fashion accessories like handbags, wallets, etc. This theme is well-equipped for handling different requirements of the online shops, eCommerce sites and storefronts which are offering their services through an online medium. Polaris’ powerful comes with great product sorting and listing pages & systems. The themes mentioned above are perfect for building an efficient and beautiful online store that will help you get a stronghold of this dynamic online marketplace.